OK, let’s call it “Blue Mousse”. My favorite 2-minute uplifting snack is refreshingly smooth and anti-oxidant with heavenly flavor. This nutrient-dense treat gives you everything you need – vitality, yummy texture, and sublime taste. Just blend and enjoy! It could be your easy breakfast, snack, or dessert. The thick texture comes from natural pectin in blueberries and creamy avocado. Instead of sugars that cause weight gain, inflammation, Alzheimer’s, and cancer, I recommend one of these zero glycemic sweeteners: For one serving I suggest 1 tablespoon of Just Like Sugar Table Top natural chicory root sweetener, or 1 tablespoon Swerve Sweetener, or 1/2 teaspoon PureLo Lo Han Sweetener by Swanson, or 1/2 tablespoon raw honey. However you can use any sweetener you like, and it’s optional, so sweeten to your own taste. BTW, eat this within a few minutes after blending, as the beautiful lavender color will slowly turn brown because of the avocado. Wild blueberries are small with a slightly tart, deep flavor. Wild blueberries may be the world’s most potent superfood. With the power to prevent every human malady including cancer, please never confuse wild blueberries with their larger, cultivated cousins. The difference between wild and cultivated blueberries is like the difference between fresh forest greens and week-old iceberg lettuce. The innate intelligence of wild blueberries has prevented them from accepting a monoculture, and instead they thrive in the wild. For example, wild blueberries can be burned to the ground and come back, yet other plants perish. I’m going to eat this mousse every day! Serves one or two, just follow your desired column below. 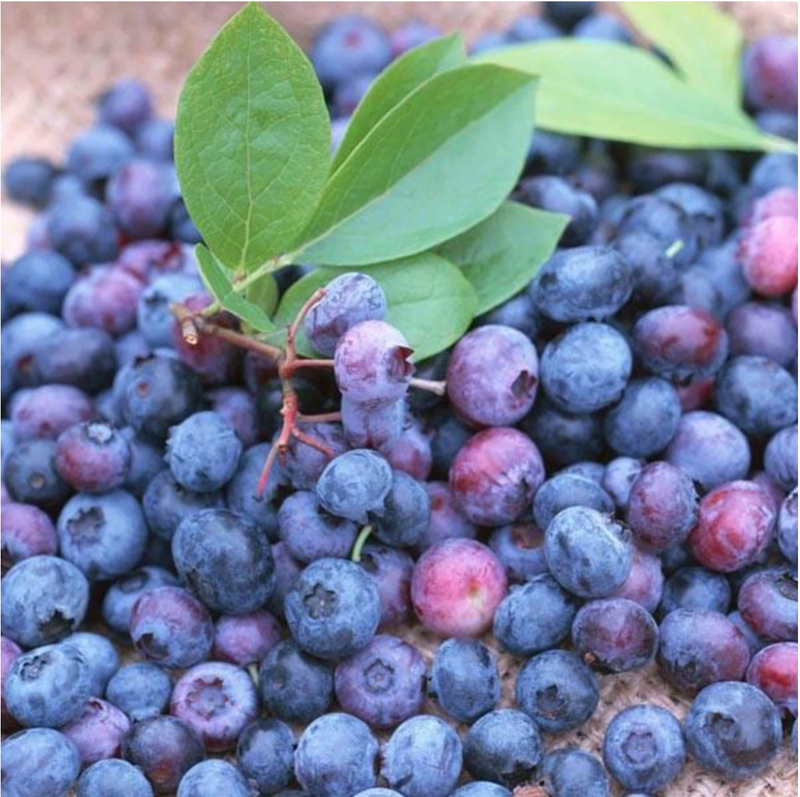 Wild Blueberries are higher in nutrients and anti-oxidants than cultivated varities. They hold ancient survival information, having adapted to every brutal climate fluctuation over millennia. I found frozen Organic Woodstock Wild Blueberries at the Montanita Coop in Santa Fe. They’re small, sweet and tart.